In Northern Ontario where I grew up, wild blueberries were plentiful and the only kind I knew. On summer Sundays when my hardworking dad had a day off from his backbreaking job as a gold miner, we would pack up the car and head to a local lake for some leisure family time. After what seemed like a long hot drive, we would finally arrive at Slab Lake. Full of anticipation, we 3 kids would not be allowed to swim until we had picked our assigned quota of blueberries. Being the youngest, mine would be the smallest vessel to fill. Ku-plink, Ku-plank, Ku-plunk! That did not stop me from trying to sneak some leaves and twigs in my pail so I could get into the lake faster! Those blueberries would be frozen or turned into jam to last us all year. Unlike the beloved Robert McClusky children’s story, I never encountered a bear WHILE I was picking blueberries… Those are tales for another time! I have loved blueberries all my life and they always bring back fond childhood memories. 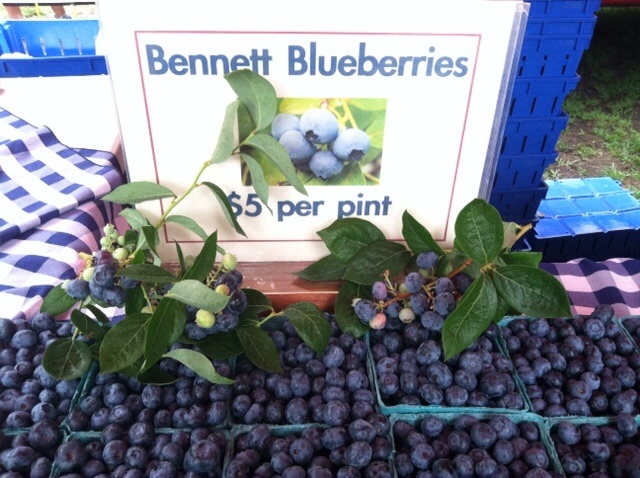 This year at the Lewe’s DE Farmer’s Market, I discovered Spartan blueberries. Of enormous size, these attractive highbrush blueberries are paler yet sweet with a nice firmness. Not having to pick these myself, I took home several containers for eating in big handfulls and for baking. Delicious! 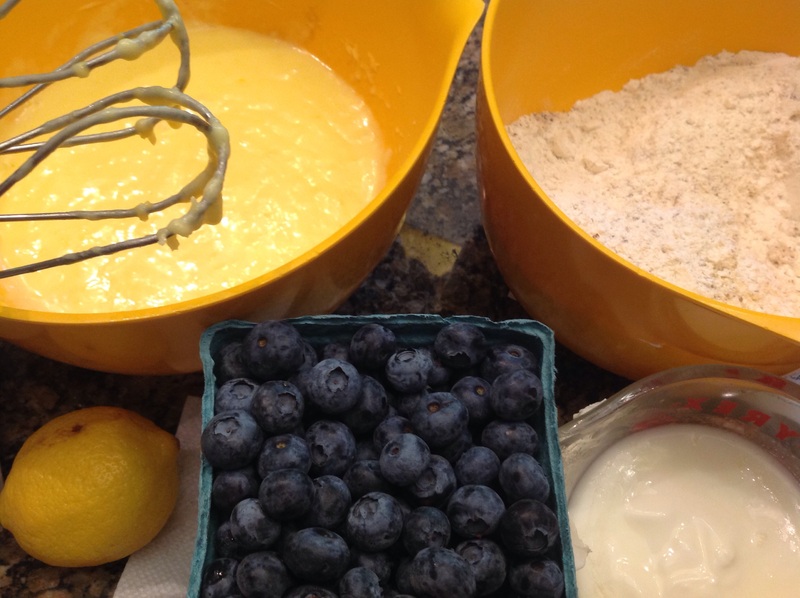 This lemon blueberry Bundt cake is chock full of fresh blueberries with the added goodness of some almond meal and yogurt in the batter. It is an easy recipe for a summer snacking cake highlighting the season’s favorite berries. Enjoy with a side of nostalgia while re-reading “Blueberries for Sal”! Preheat oven to 350F and grease a Bundt pan with spray cooking oil. In a large mixing bowl, with an electric mixer, cream together the butter, lemon juice and zest and sugar. Add the eggs one at a time and mix well. In a smaller bowl, combine the flour, baking powder and almond meal. With the mixer running at a lower speed, alternate the addition of the flour mixture and yogurt in gradual increments. Do not over mix. 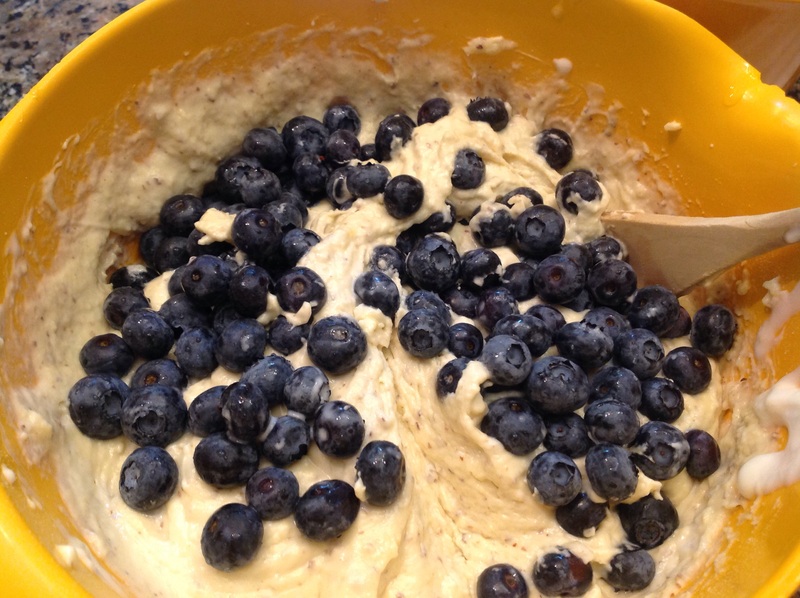 With a wooden spoon, fold in the blueberries. Pour the batter into the prepared Bundt pan. Bake for 1 hour at 350F, in the center of the oven. Insert a toothpick to test for doneness. Bake an additional 5-10 minutes if toothpick does not come out clean. The creamed butter, sugar and eggs ready for the addition of the flour-almond mixture and lemony yogurt. 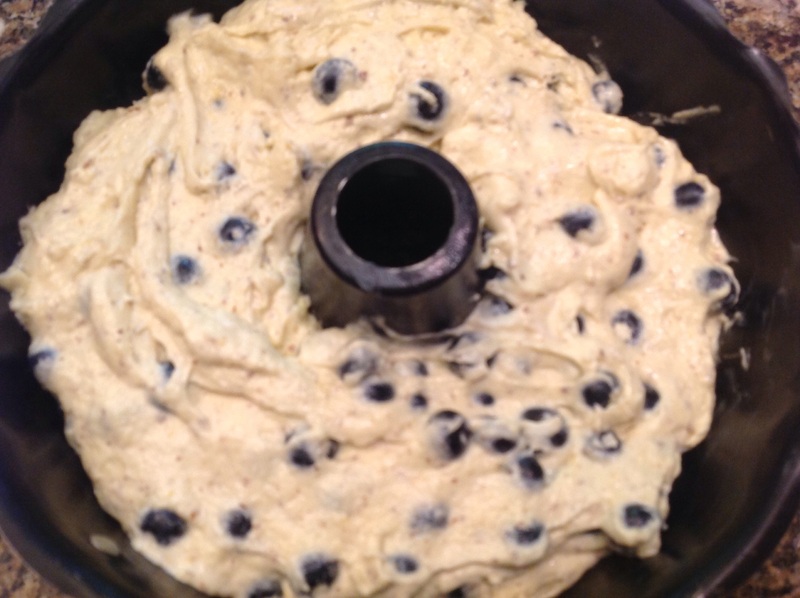 The blueberries being folded into the batter. The cake ready for baking. The golden beauty, oozing with blueberries. Dedicating this post to my sister Michelle and brother Guy, who remember picking those blueberries, somewhat reluctantly, at my side. 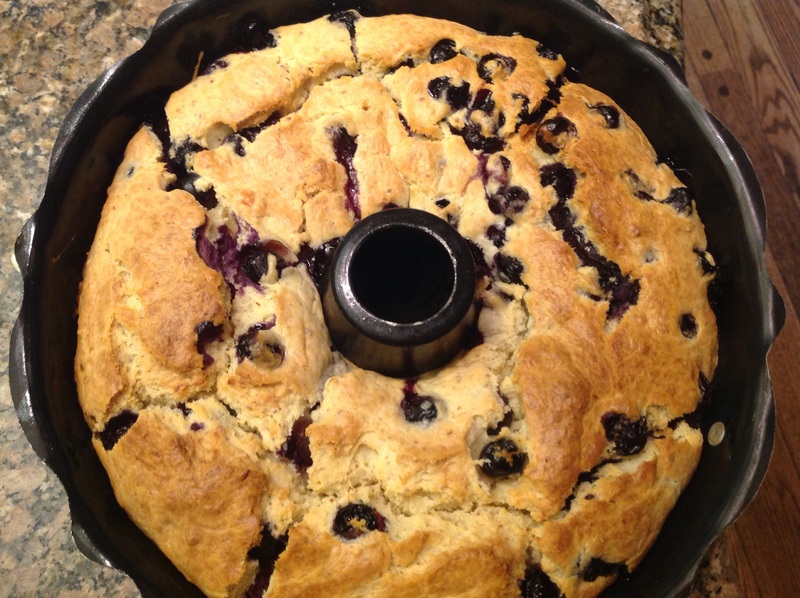 This entry was posted in Recipes and tagged Blueberry bundt cake, blueberry cake with lemon, blueberry cake with yogurt and almond meal, blueberry snacking cake, lemon blueberry bundt cake, lemon blueberry cake by Johanne Lamarche. Bookmark the permalink. This cake looks amazing! I love blueberries but we can’t grow them here. They are best frozen. The fresh ones that we get don’t have much of a flavor. I love the wild berries best and your cake looks like the perfect way! Thanks Julie. Where are you that you can’t grow blueberries Julie? This cake could be made with frozen berries too. Was just back home reminiscing about those memories Jenna. Thanks for your kind comments! 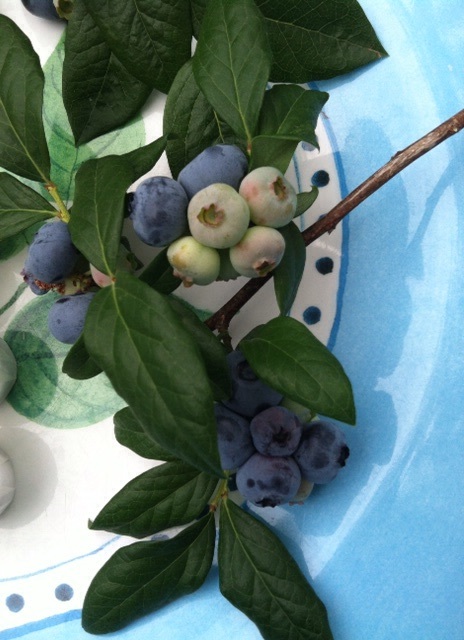 I trade apples from our orchard for blueberries from a neighbor. 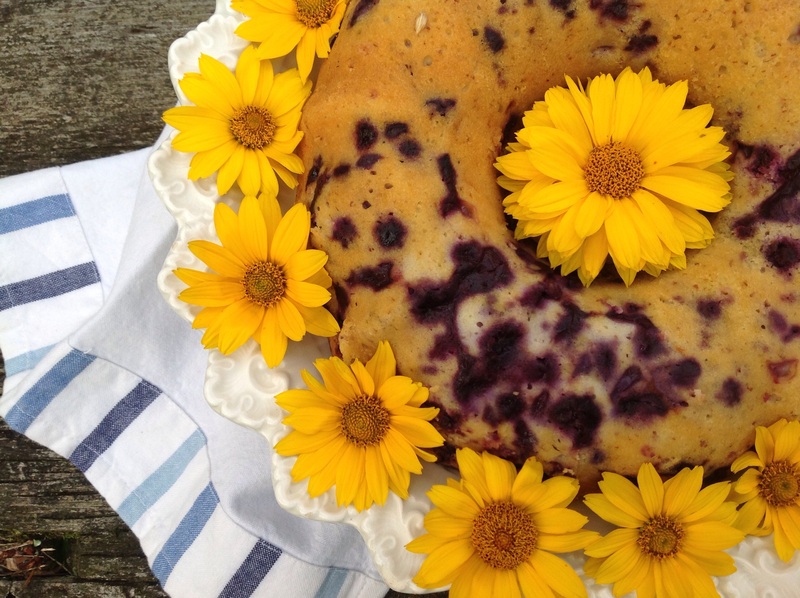 This cake sounds like a great way to use some of the blueberries I have in my freezer. That sounds like a wonderful neighbor Karen! Lucky you to live in New England, where I am currently vacationing. Love the food, quaint towns and the people here in Maine. Making this on Sunday Johanne for a work event. Can’t wait to taste it. I wish….I live in Ottawa so I had to get them at the supermarket. Thought you would pay attention to those great DE blueberries Loretta! 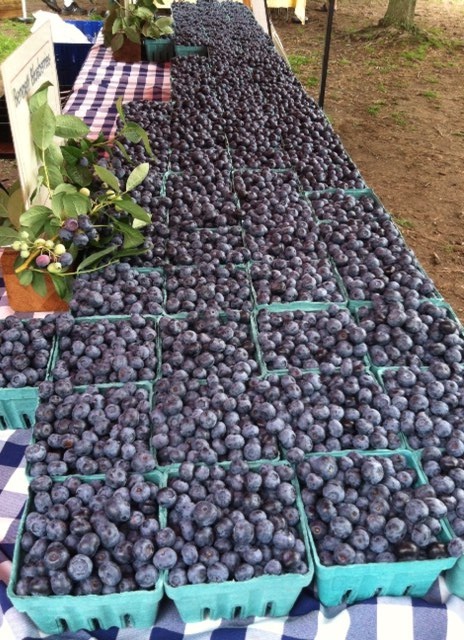 Written from Maine after a trip to Canada… A trifecta of blueberry goodness! Thank you for hosting us! Blueberries for Sal is my favourite kids book. I read it so much when little and now my daughter has a copy that we read. I will have to try this cake, it looks delicious as does all of those berries!